I’m taking a side-step from the usual programming of this blog. Not healthy habits or recipes nor diabetes or autoimmune and not even my lovely Roman shades (which are completely finished!!) are going to be touched on today. Let’s talk about premonitions that maybe should be acted on every now and then like, what if my computer crashed? 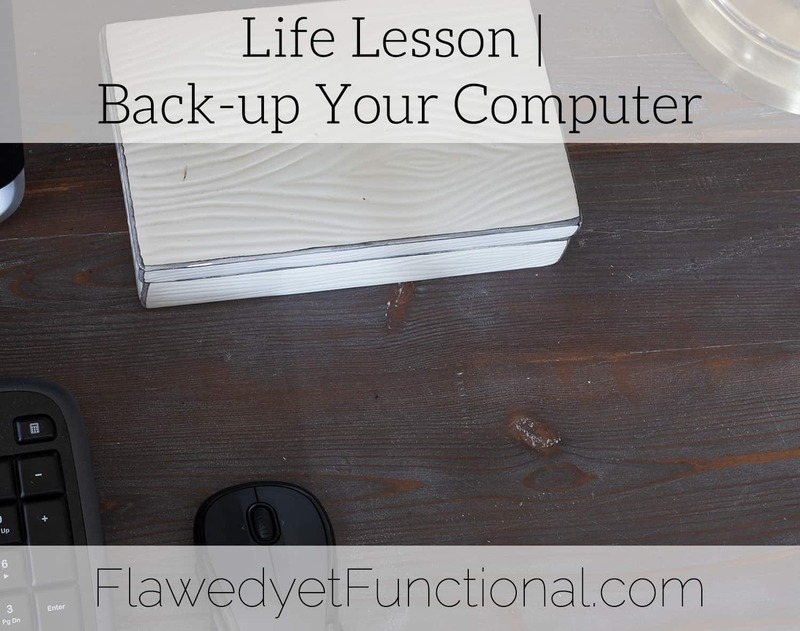 Here’s what I’ve learned this last week: back-up your computer! Let’s talk about a Windows 10 update crashing my computer. (Thanks, Bill!) But first I need to back up to, about a month or so ago, I noticed my computer getting slow. It would take a long time to “wake up” or even just switch programs. Knowing I take a lot of pictures for the blog, I blamed it on the amount of space I was taking up on the hard drive while making a mental note to get the external hard drive backing up regularly. I had never finished scheduling a regular back-up of my data when I purchased an external hard drive, ahem, 5 years ago. Yes, 5. I’ve had this wonderful data-saving device for 5 years and haven’t been using it. When I finally sat down to tackle the external hard drive issue, I found out it was dead. Well, no real big deal. The external drive was a back-up. I have all of my pictures, templates, and blog info on the computer hard drive. Tuesday, May 22, a Windows update gets pushed to my computer. Ain’t nobody got time for that! I put it off until Wednesday which was my planned blogging day. I told the update to start around 10am, and it churned away for 2 hours. Two hours! 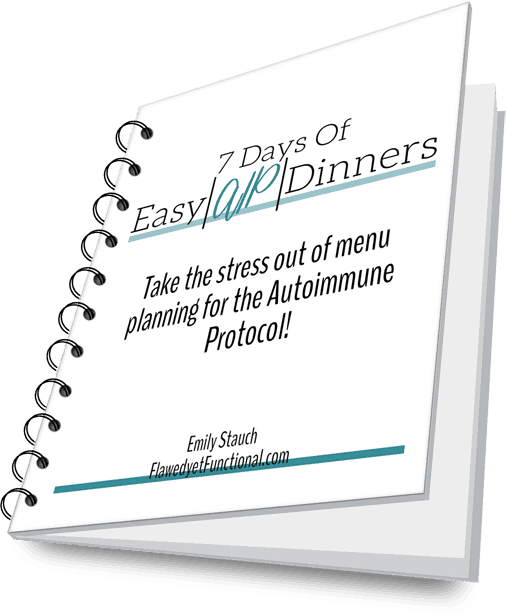 Two hours was all the time I had to devote to the blog that day so while I was bummed I didn’t get any writing or editing in, I did get my menu planning done. Not all was lost! The update restarted several times before ending on a blue screen asking for the language to set up the computer. Odd, but it must be part of the updates. Right? I select “U.S.” then the next screen is asking me how to proceed with the boot up. A USB device, rollback to a previous version of Windows, mirror image something or other, etc. What the what??? Just start the computer! Long story short: nothing worked to boot the computer. Not safe mode, not rolling back to a previous version of Windows, I couldn’t get the computer to boot at all in any way. Enter wonderful friends who know computers way better than I do. College friends of my husband’s walked us through using Linux (who in the world knows what that is?!??) to boot the computer, copy all my files to a NEW external hard drive, and then reinstall Windows 10, wiping my hard drive clean in the process. Whew! It’s been a long week figuring this all out! The great news is the computer is up and running, and all of my files are intact! Keep your friends close but your techie friends closer. Back-up your files often including your blog/website. If your back-up fails, fix it immediately. While I hope to return to regular blogging as soon as possible, I will be making it a priority this week to set up a back-up of my pictures/templates/blog files and a back-up of my blog. I’ve put a lot of work into this blog, and I would hate to loose all of it due to my own negligence. Don’t be like me. Back-up your computer regularly and keep your back-up device or cloud license up to date! Did your computer fail to boot after the Windows 10 update on May 22, 2018? Here’s a quick and dirty rundown of how I got my computer back up and running without loosing my files. Download Windows 10 here on a USB flash drive with at least 8GB of free space. On a different USB flash drive, download Linux for Windows from this website (left box “Download Windows”). Insert the flash drive with Linux into the not-booting computer. On the blue screen, select the option that corresponds with booting from the USB drive just inserted. Once booted, plug in your external hard drive and copy all the files you need off the computer and onto the external hard drive. When finished, eject and unplug the external hard drive. Shut the computer down, remove the Linus USB and instert the Windows 10 USB flashdrive. Boot the computer off the Windows 10 USB flash drive and follow the instructions to reinstall Windows. There are options to repair Windows during this install, but none of those worked for me. I had to do a complete new installation which wiped all my data off the hard drive. Thank goodness for Linux so I could access my files before I reinstalled Windows 10! How was your Memorial Day weekend? More thrilling than backing up files from your computer?? Did you enjoy gloriously sunny weather? ?